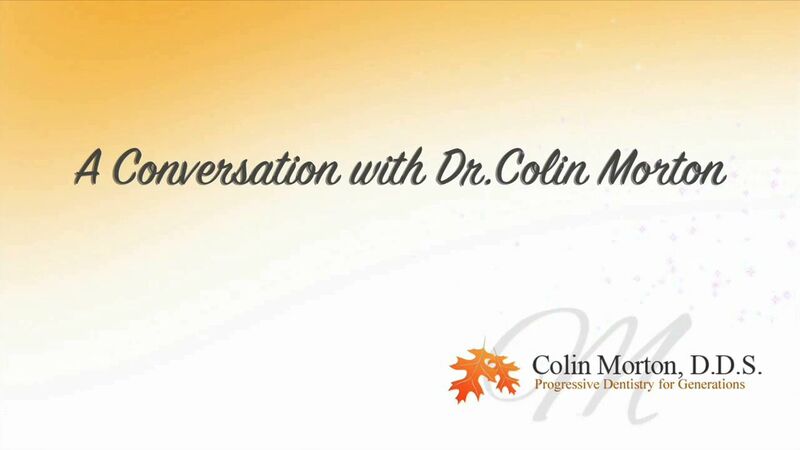 At the practice of cosmetic dentist Colin Morton, DDS, we focus on progressive dentistry for exceptional, natural-looking results. We know that healthy, beautiful teeth can boost your confidence in social and business settings and can give you a sense of well-being. To help you accomplish your goal of achieving the best dental health and appearance possible, Dr. Morton uses highly advanced, clinically proven techniques and technologies at his state-of-the-art facility. He brings to our practice a rich legacy of dental knowledge stemming from four generations of family in the dental field, each dedicated to helping patients progress to optimal dental health and beauty. We invite you to experience the knowledgeable, skilled care of Dr. Morton and our staff as we help bring your smile to its beautiful best. Dr. Morton and our staff offer a full range of dental services, from cosmetic dental procedures including porcelain veneers and teeth whitening to restorative procedures such as dental implants and dental bridges. Because we believe that dentistry should be a pleasant experience, we also offer amenities such as a variety of TV entertainment while in the chair, warm blankets, and hot towels for your comfort. You will especially enjoy the landscape surrounding our office, as we are located in a serene environment overlooking some of the most beautiful natural scenery our region has to offer. Whatever your dental needs, we encourage you to schedule an appointment with our cosmetic dentist to see how we can help you achieve optimal dental health and make a beautiful first impression. Every beautiful smile begins with healthy teeth and gums. Dental exams, x-rays, and routine cleanings at our office can help identify and treat any issues that may be compromising your oral health and the integrity of your smile. Are you tired of not being able to chew properly due to damaged and/or missing teeth? Dental implants and other restorative dentistry options can restore form and function to your teeth, enabling you to enjoy the all foods you love to eat. We know that visiting the dentist is not always the most pleasurable experience for every individual. Through a combination of compassionate care and advanced sedation dentistry techniques, we can help alleviate dental anxieties while making your visit as comfortable and relaxing as possible. A beautiful smile can light up a room and make a great first impression on everyone you meet. With cosmetic dentistry options such as teeth whitening and porcelain veneers, you can enhance the appearance of your smile for a more youthful, noticeably vibrant look. Proactive dentistry treatments can strengthen your teeth, improve cosmetic concerns, and diminish your risk of developing future, sometimes serious dental issues – all of which can help you maintain exceptional oral health for many years to come.